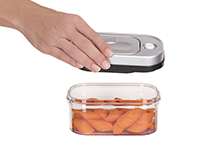 Extend the life of your foods, dry goods, liquids and save money! 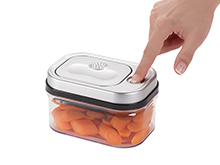 Patent Pending – Built-in Vacuum Pump Lids keep air & moisture out of the container. 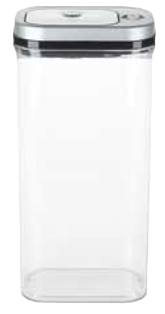 No separate pump or batteries required! 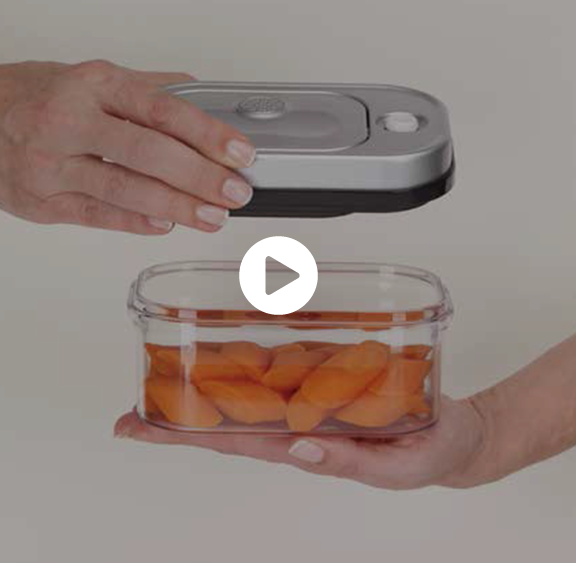 Independent 3rd Party Laboratory Tested* – Creating a vacuum in the container helps to extend the shelf life of stored foods. 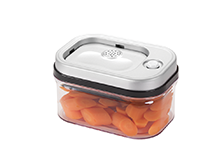 One Size Lid – Fits each container size, no lid and base matching required! 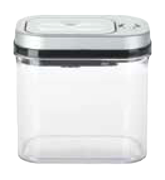 FDA Food Safe, BPA Safe, Shatter Resistant Containers will not absorb odors or stains. 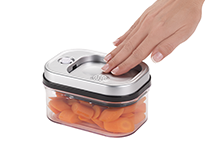 Containers are Microwave Safe and Dishwasher Safe. 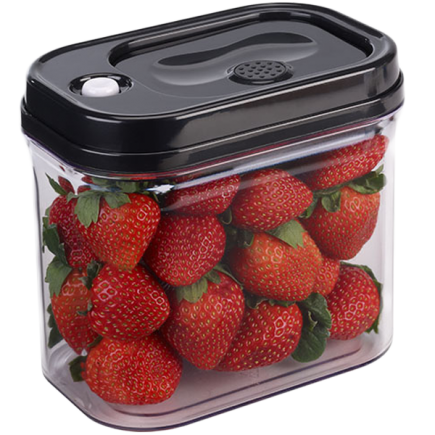 Containers and lids are fridge and freezer safe. as individual items or as multi-piece sets. We simply believe that you should be able to buy quality home organization products with the most desirable features and designs without having to spend an exorbitant amount of your hard earned money. 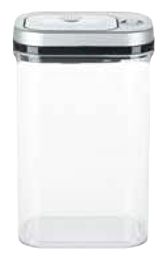 KitchenTrend® is dedicated to bringing these products to you using our exclusive blend of design, value and innovation.